with saddle made of thorns to defend against enemies. Price is 35% below the initial Playmobil retail price, a € 3.50 discount! 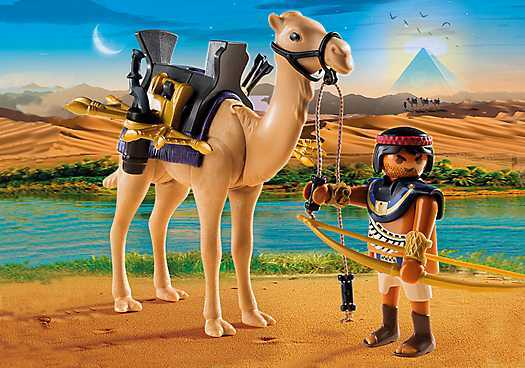 The Egyptian Warrior with Camel (5389) Playmobil set is no longer directly available from the sites below. However, 3rd party partners of these sites might still have the set available. Weapons can be fixed sideways on the camel's saddle.